So I’m in Jordan! My favourite part of being here is munching on pomegranate seeds as dusk approaches with lyrical strains of the Quran drifting from the local mosques where multiple adhans jostle for supremacy causing a chiming echo across the horizon. It’s been a surreal few days figuring out taxis (this deserves it’s own post), food (as does this), money and orientating myself to the sights and sounds of this new city. The other Arabic language students here seem to fit into three categories – the young Arabic language undergrads on exchange or developing their skills and wanting careers in international relations, development or anything that pays and allows travel. The second group is non-Arab Muslims seeking religious knowledge and the third is older students in their late 20’s and thirties. These are the ones who might have quit their jobs or at a crossroads and want to do something completely different and see where it takes them. I’ve met everyone from Fulbright scholars, corporate lawyers who’ve quit their jobs, UN workers, wide-eyed college grads, spiritual seekers and Muslim converts. I can see why Amman is attractive to travellers. It’s relatively safe and there’s a host of hipster cafes (this also deserves it’s own post) in the expat areas downtown in the aptly named Rainbow Street (maybe a play on the colourful range of travellers passing through). It’s warm in the day and then cold at night. Everywhere is hilly and mountainous and historic with the city’s white and cream stone buildings providing panaromic views at vantage points around the city. One of the best places for epic views is the Citadel featuring Umayyad, Abbasid and Ottoman period Islamic architecture as well as ancient ruins predating Islam including the hand of Hercules and a bird’s eye view of a nearby Roman colosseum. Traipsing around the ruined splendour makes you feel a bit redundant and also awed at humans and their futile but valiant fight against inevitable decay. We’re just a transient speck in the scheme of things. These great civilisations, these visions of splendor, all reaching for immortality, or just wanting us to know- hey we were here! You have to admire the attempt- a rebellion against, but at the same time a testament to transience. Panaromic views at the Citadel in Amman, Jordan including bird’s eye view of the colosseum. Later that night we roam streets lined with posters of King Abdullah and his bespectacled young son, Crown Prince Hussein who apparently went to Georgetown with one of my fellow language students. Strangely enough twice on the first day people thought I was Arab, and started speaking to me in Arabic. Australian doesn’t cut it as an explanation for my brown-ness, but Pakistani elicits smiles, which it never does in the west so that’s a pleasant change. I get asked where my father is from, which I’m assuming is how identity is determined – patrilineal in the Middle East – where in most places a mother cannot pass on her citizenship if she marries out. 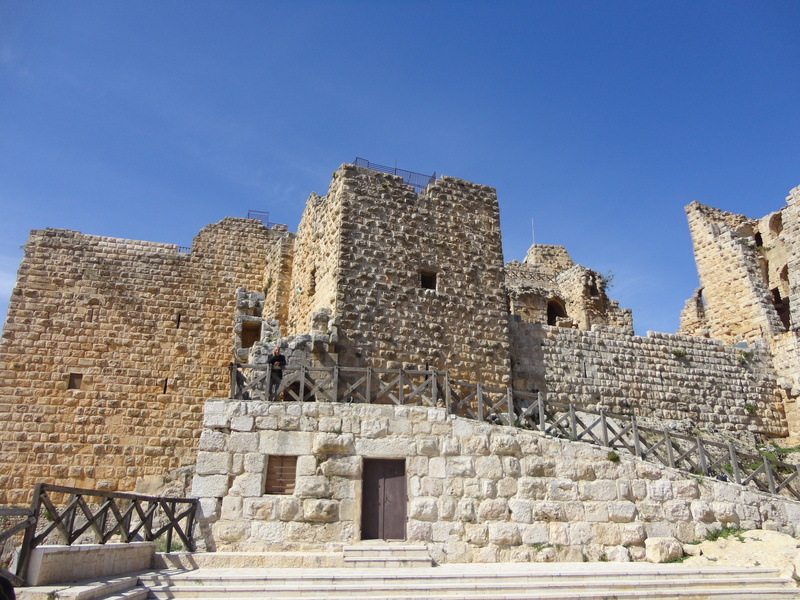 Our next stop – a day trip to Al-Ajlun castle is like stepping into a medieval novel. It’s at the border of Syria and Palestine, built by the nephew of Salahuddin, the dreamy Muslim general who captured Jerusalem from the Crusaders. Al-Ajlun castle on the border of Jordan, Syria and Palestine. There’s a moat, a former drawbridge, turrets, tunnels, towers and shafts where poisonous arrows and vats of boiling water were dropped on enemy troops. 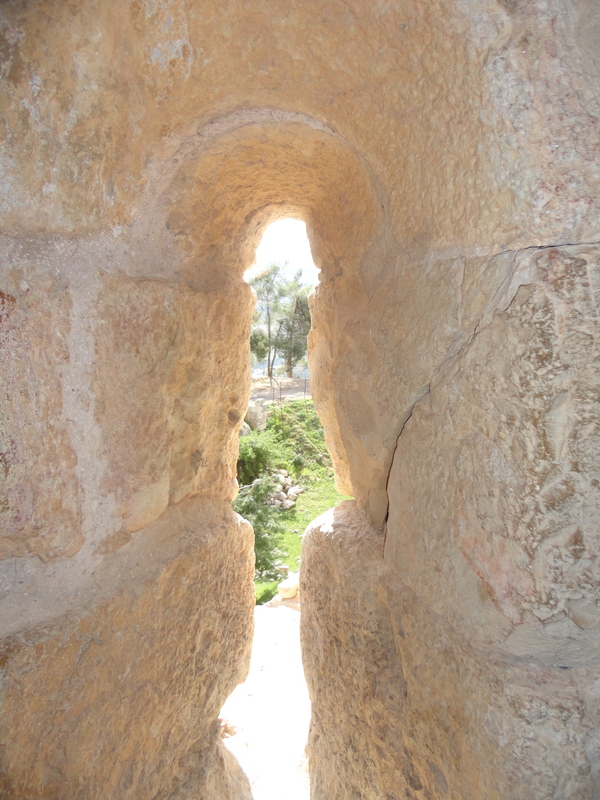 Small windows in Al-Ajlun castle. 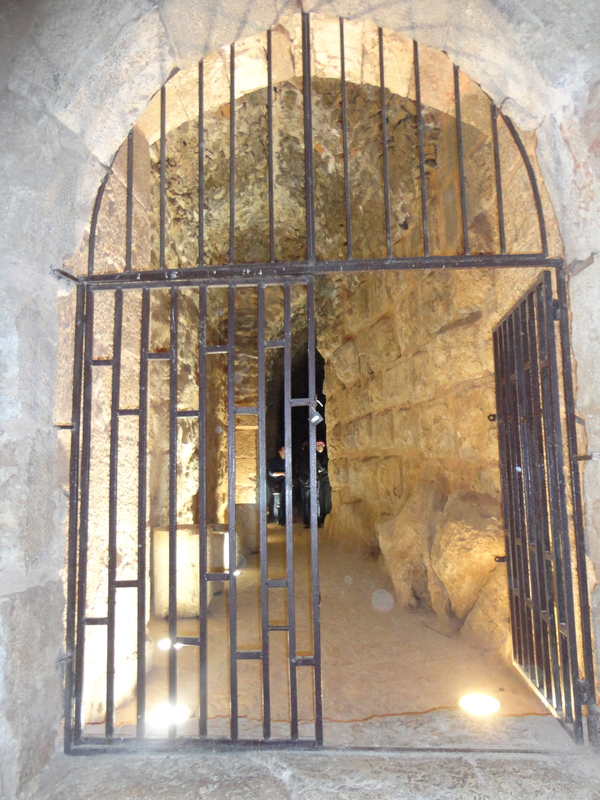 There’s even a barred prison area where enemy soldiers were captured. Apparently the old citadels are not totally redundant- I’m told in Syria most of them are actually being used in the conflict. There was even some entertainment on top of the castle where you can literally see the horizon (and any invading hordes) for miles. That’s all for now. Ma’salama! How beautiful Sarah I never saw jordan this way even though I grew up there lol … I need to go back as a tourist. It’s a gorgeous country, would love to hear more about your experience growing up here. Reading this was a pleasure Sarah. I’ve been thinking of going to Turkey again and now am definitely thinking of checking out Jordan too. Write some more about the cafes please 😀 What are the people like? Looking forward to reading more about your travels. Thanks Anam- ok next post is on the cafe culture! Jordan is definitely worth checking out esp for Petra, Dead Sea and Wadi ram, which are next in my hit list.